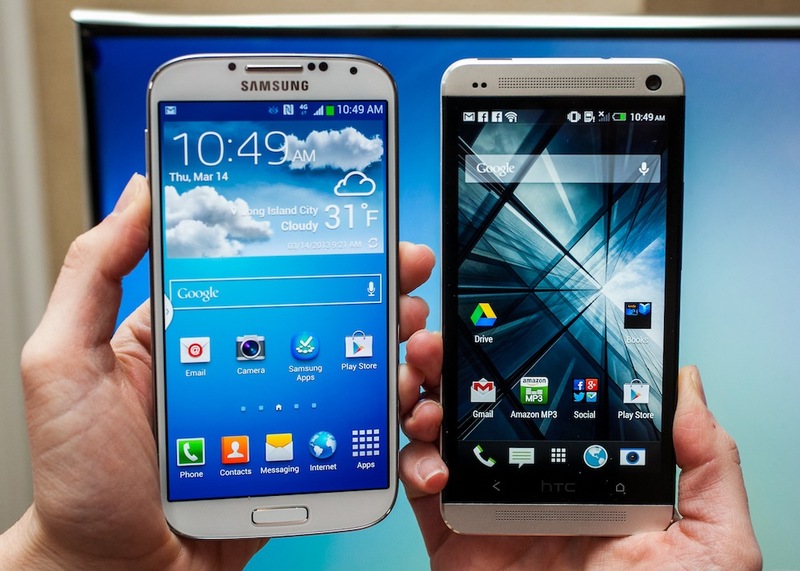 The biggest competitor to the Samsung S4, besides the iPhone 5, should be the recently launched HTC One. Much has been said about the plastic nature of the Galaxy S4 compared with the sleek aluminium design of the better looking HTC One. Overall, I prefer the HTC One aluminium chassis. Plastic just doesn’t exude the same kind of style as compared to aluminium. However, most users would get a case to protect and personalise their phone, so this may not be of significant consideration to many. The design of the phone is largely similar to that of the S3, and would be unlikely to turn heads. Overall, the S4 does feel more robust as compared to the S3, largely aided by the metal band at the side, yet still preserving the overall slimness and lightness. The 5″ AMOLED screen on the S4 is gorgeous, and I feel it have a significant improvement over the S3, with more accurate colour representation that the S3 and Note 2. Watching shows on the Galaxy S4 would be a vivid and eye-catching experience, and we are bound to see more S4s being propped up on buses and MRTs. 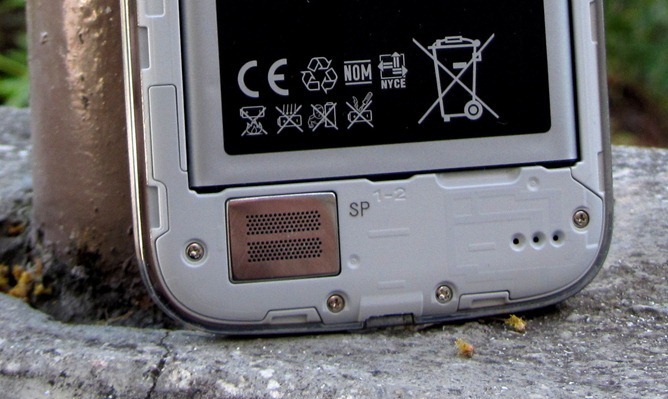 The rear speaker on the S4 has also improved. It’s much better than what shipped on the S III / Note II. It gets surprisingly loud, and watching video is far less cringe-inducing than you might expect. The amount of clipping at high volumes is pretty low, and while it doesn’t sound anywhere near as good as what HTC’s done on the One with BoomSound, it’s quite good in its own right. Samsung’s bid to differentiate the S3 from the predecessor and the others in the market stems largely from a gimmicky perspective. First up, there’s the list of Air Gestures, which allow you to control the phone without actually touching it. It is only practical if you wear gloves often, your hands are frequently dirtied, or for drivers, otherwise, I think you are better off disabling them, as it could be quite a battery guzzler. Quick Glance mode, just wave your hand over the phone while it’s off, and you get a quick look at the time, your remaining battery, emails, SMS’s, and missed calls. Regular notifications (icons only) are also displayed. It might be useful when the phone is set up as a car dock. Air jump lets you scroll through web pages in Samsung’s browser by flinging your hand up or down, but its reliability is pretty spotty. Air browse lets you swipe left or right in certain apps (gallery, internet, music player, lock screen music widget, S Memo) to perform actions, usually switching between pages (tabs in the browser) or pictures. You can select which apps you want it active on. Air move lets you drag app shortcuts to different homescreens while they’re long-pressed and flinging your palm left or right. Air call accept lets you wave your hand over the phone to answer a phone call. Smart screen stuff: This is the stuff that tracks the movement and orientation of your head using the front-facing camera. Smart stay, carried over from S3, keeps the display on until you are no longer looking at it. Useful. Smart rotation is the same as before, too. If you’re lying in bed on your side, for example, and using your phone, obviously you probably don’t want it in landscape mode. You want the screen’s orientation to line up with the orientation of your head. Useful. Smart pause will pause the video you’re currently watching if you look away from the screen. Only work in some apps. Interesting, and potentially useful. But for times when you are distracted by someone else, or just to look around, the video would pause. Initial experience wasn’t so good, and doesn’t track as well either. Smart scroll tracks your eye movement and scroll the browser accordingly. However, it can’t really track pupil movement and require more exaggerated movement, which would require you bobbing your head up and down. Sounds good but poorly implemented. Multi Window: Multi-window is a feature brought over from the Note 2 and have a lighter UI that blends better into the new interface. The tab on the side of the screen is smaller and less noticeable, and from the panel, you could directly close the current, switch to another one pretty easily. Group Play: Group Play lets you share music, pictures, documents and play games with multiple players. Get your friends together and let them enjoy your music simultaneously and keeps the party going. This could get nasty if used onboard a crowded train by a bunch of students/friends. Baesd on the pre-order details and the popularity of the phone, there is no doubt that the Galaxy S4 is a great phone. It’ll keep Samsung relevant, and probably keep it on top for the year to come. But it’s also not the showstopper or the next “big thing”. It feels somewhat like the iPhone 5/4S in terms of it being a progressive update, as opposed to a disruptive one. But that’s just how technology is. It might be harder for Samsung to aggressively pursue something new and risk losing their huge customer base. This would be the role of the other mobile phone providers, which I’m sure HTC, and even LG with the upcoming Optimus G Pro are eyeing.